The BW3 is an up-to date microprocessor controlled bench top model of high quality and considerable value. It is designed for high-frequency switching power coils, multifunctional controller and stable winding pitch system. It use a special inverter motor and driver as its main winding power, and a precise stepping motor to adjust wire pitch in order to meet the extra requirement of customer’s high-quality control. 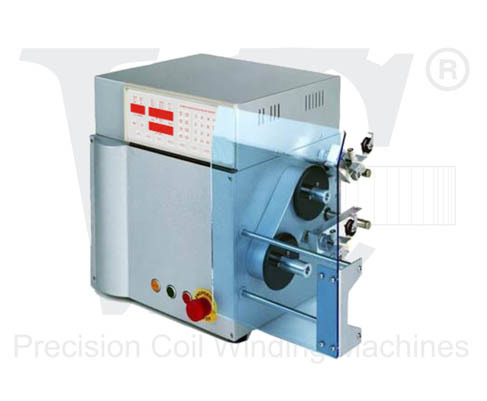 And it has proven to be the optimal choice in VC’s BOBBIN winding machines for fine wire applications with 2-spindles.